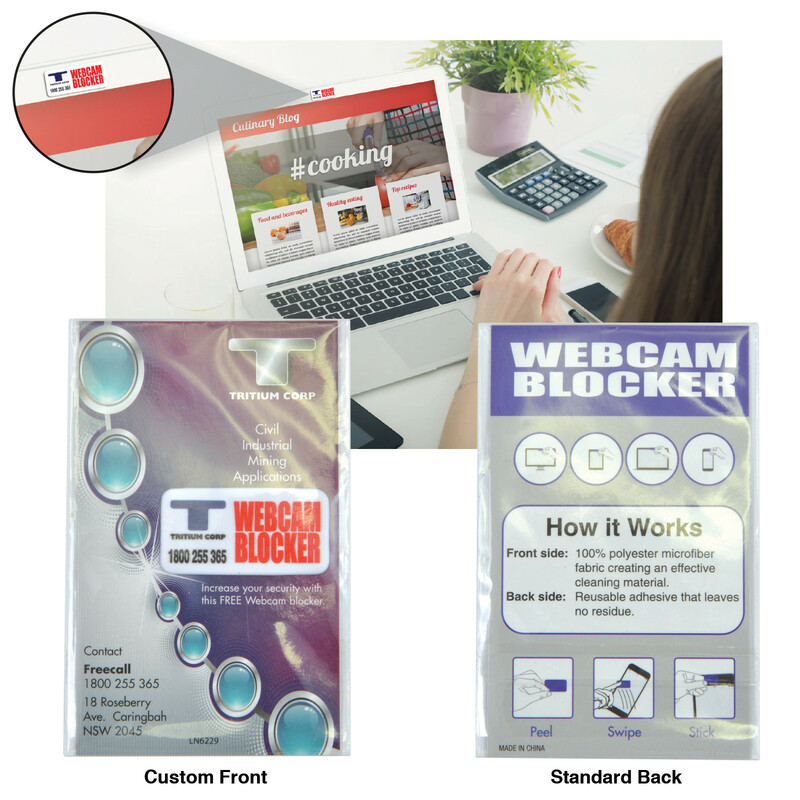 Microfibre 35mmL x 18mmH webcam blocker with printed backing card. Attaches to web cam lense on Laptops, Tablets, Cell Phones, Smart Tvs, Xbox's and other web camera lenses. Removable, reusable and can be used to remove fingerprints and smudges. Instructions printed on reverse of backing card. Made in China. 4 weeks delivery.